We are thyroid cancer survivors that want to help others by providing food options and information about the Low Iodine Diet. *Our organization is funded strictly by donations. We do not receive any funding or grants from outside sources. Any advertising partner will be clearly designated as such. The LID Life Community is venturing forward as a non-profit organization. We hope to continue to help others with thyroid cancer and thyroid diseases as a supporting, positive, loving group who have had similar experiences and to help the medical community by providing them with information about the LID Life Community and our mission to their patients. 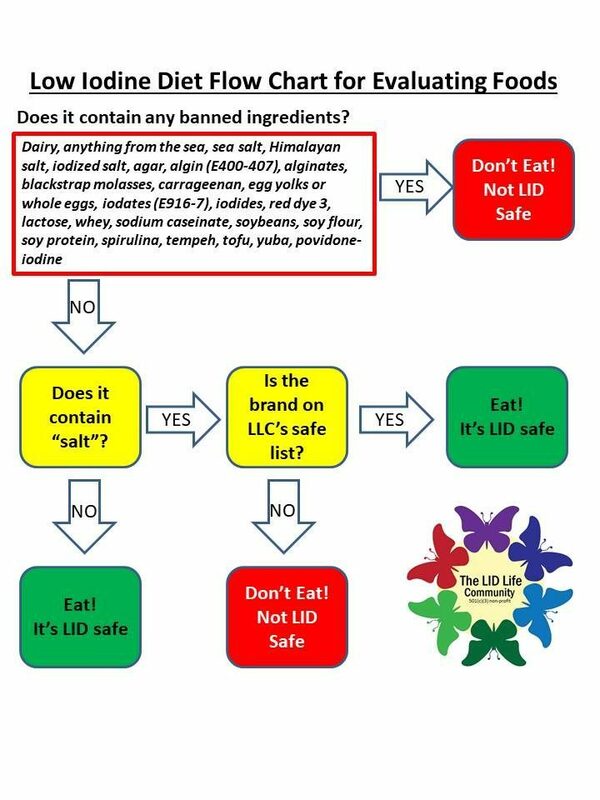 The goal of The LID Life Community is to provide individualized support and education to patients on how to successfully navigate the low iodine diet (LID) to increase the efficacy of radiation (RAI). LID Life Community (herein after called LLC) does not share, sell, give away or otherwise disseminate contact information. Participation on LLC does not require sharing of medical information. Any information collected in any form on our website’s online forms, such as e-mail addresses and/or contact information, is accessible only within LLC and will never be shared to any third party unless required by law. Participation in LLC peer-to-peer Facebook page is strictly voluntary and subject to community rules for civility in order to participate.